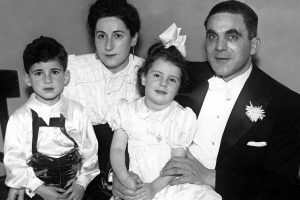 Expresses hope of a new life and redemption to Israel for Jewish refugees from the Shoah. 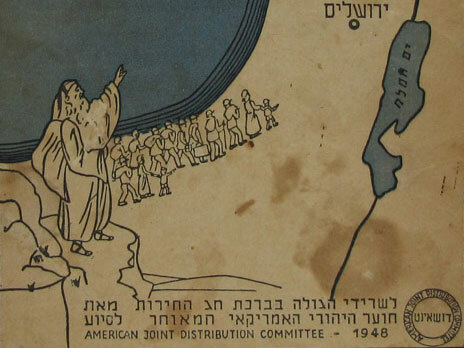 This 1948 Haggadah—published for the residents of the Displaced Persons camps—was presented by the Joint with “the blessings of the Festival of Freedom.” Its cover features an illustration of Moses leading the Jewish people into Israel. This expresses the hope of the creators, on the eve of Israel’s birth, that new lives in the Jewish homeland would soon be theirs. As early as 1918, JDC provided matza to Jewish soldiers in the Polish army. Soon providing free Passover food, matza flour, and matza became a JDC mainstay for Jews in need in places as far-flung as Iran, Cuba and Ethiopia. Today JDC supports a Passover program in Berlin for children ages 2-6, public seders in Bulgaria, matza distribution in the Former Soviet Union and other Passover celebrations across the globe. 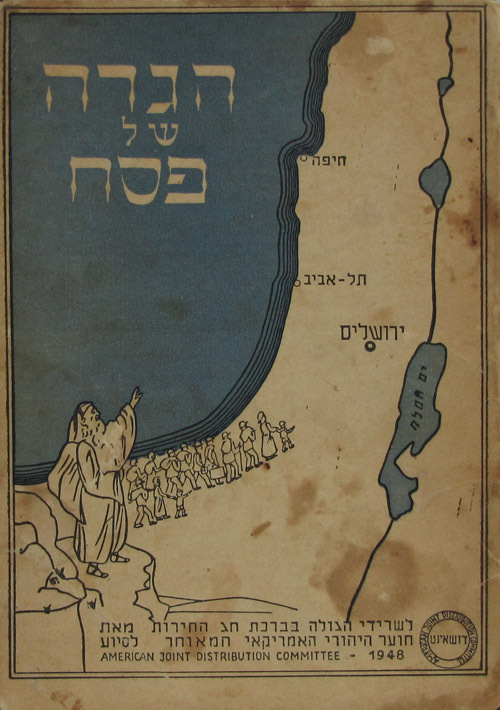 Published in 2010, In Every Generation: The JDC Haggadah retells the biblical tale of Jewish freedom and redemption utilizing photographs, letters, and documents from the celebrated JDC Archives. Call 212-687-6200 to order copies of the JDC Haggadah for you and your family today.